Jason is a professional skydiver, working and competing fulltime in the skydiving industry since 1996. Published in every skydiving magazine around the world. 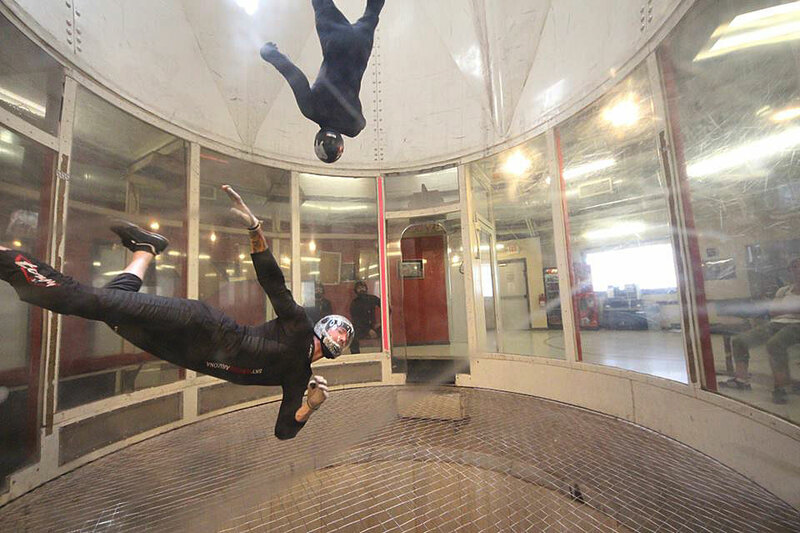 Consider adding Jason Peters Exhibition Skydiving Team to your event to make it special! Are you wondering what you might do to give it an unforgettable element or an exotic flair? Consider adding Jason Peters Exhibition Skydiving Team to your event to make it special! 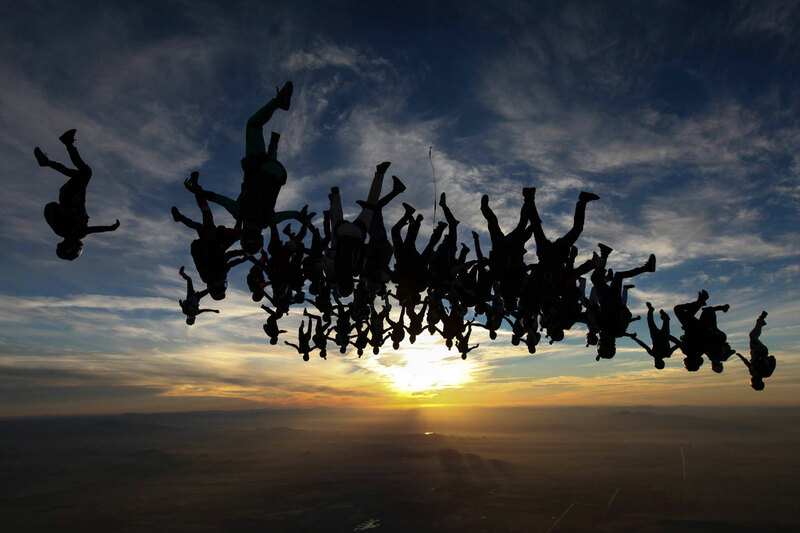 Want to find out more about the team or if your not sure if we can skydive into your event? Please go to my contact page to get in touch with me. 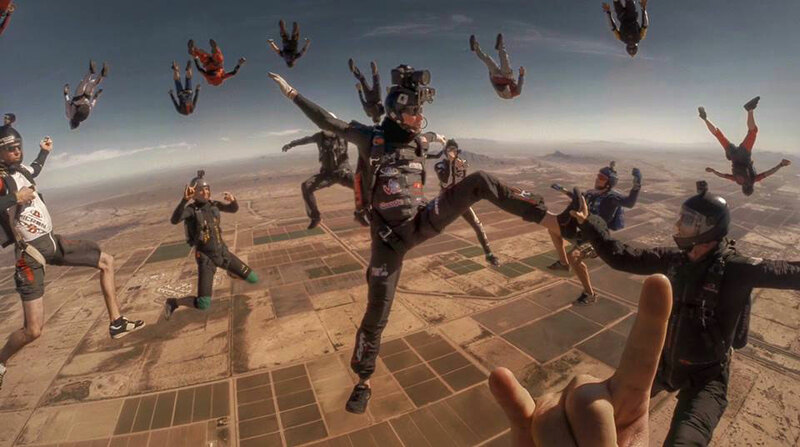 Jason Peters founder of the exhibition skydiving team is a professional skydiver, working and competing fulltime in the skydiving industry since 1996. Jason and his team have been performing for the public at special events all across the world since 2000. Currently Jason's team has a contract with the National Hot Rod Association to fly in the American flag during the national anthem at 24 drag races and 1 Busch NASCAR event each year. Jason's team takes pride in being able to bring a flawless presentations of skydiving to the general public at special events. Whether it's a jump into a backyard to deliver a present for somebodys birthday or bringing in $100,000 cash to the winner of a race, every detail is carefully planned and executed by experienced professionals to ensure customer satisfaction, and above all, a safe and crowd pleasing show. For the past 9 years, Jason's has organized and performed at events that draw thousands of spectators. Each show is always an exciting and exhilarating display for the crowd. Children as well as adults enjoy watching the high performance and graceful, steerable parachutes fly through sky with streamers, smoke, and flags, and then touch down safely on target. Our experienced, professional staff will coordinate with your event producers during the show to provide instant communication and ensure exact timing. 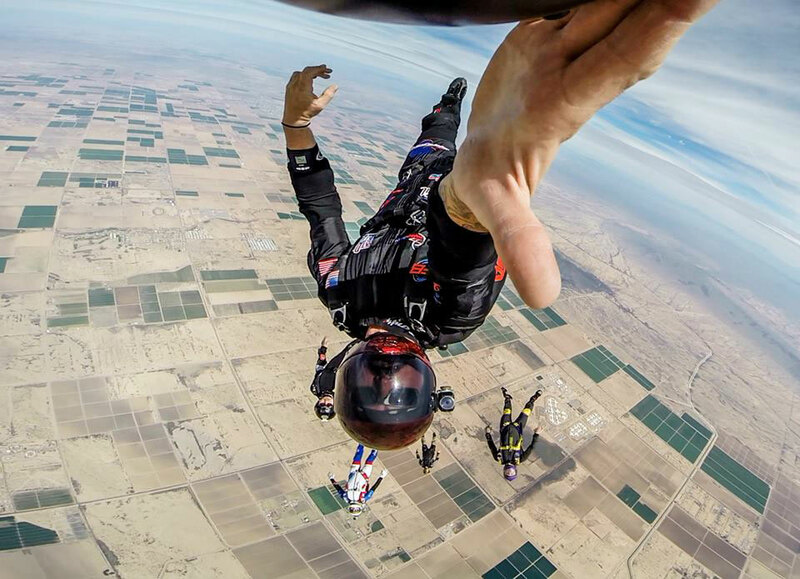 All of our skydivers are USPA (United States Parachute Association) Pro Rating Holders, the highest standard to which Exhibition Skydivers are held. All jumps carry a minimum of two million dollars of liability insurance.